A car accident changes the lives of four teenagers forever. Can one decision determine the rest of your life? It has for Wendy. 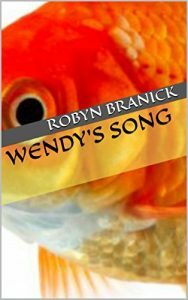 The teens all go their separate ways, Wendy and Lisa meet up again years later. Does Wendy have a chance at starting things over? I was talking to my friend and her daughter one night about how many bad choices we made when we were kids. I grew up in the nineties. As teens back then, we chose one wrong decision after another. The only difference between some of us and others was that some of us were lucky. I know many old friends that took things too far, and that is what inspired the character, Wendy. Wendy is a combination of people that I have seen come and go in my life. Some of what she goes through has happened in real life to more than one person. Her behaviors manifest from the fear and anger of one individual. Someone taps her on her shoulder and whispers in her ear, “Hey, come follow me!” It’s Lisa. "Me too, but we have to think about our futures. We can't worry about this and let it ruin our lives." "No, it's something else, I'm pregnant. That's the only reason I was still with Kyle the past couple of weeks. Kyle was so annoying, but I figured at least my baby would have a father."